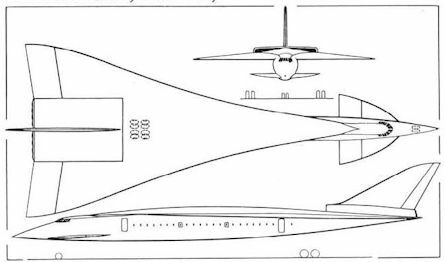 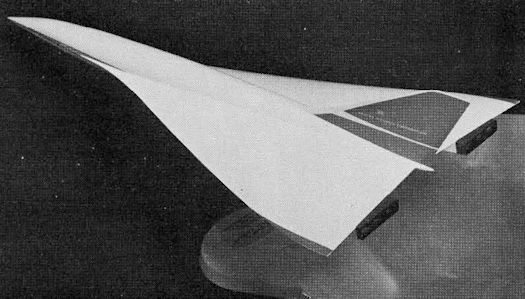 Another Type 198 configuration studied in 1959, with six engines, a Gothic wing and no foreplane. 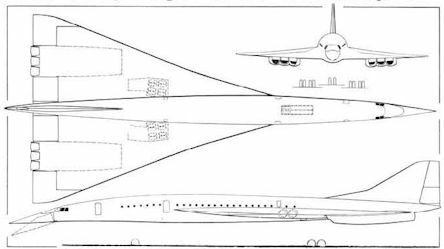 The final configuration of the Bristol Type 198 featured a low-mounted narrow-delta wing and six engines in two underwing groups. 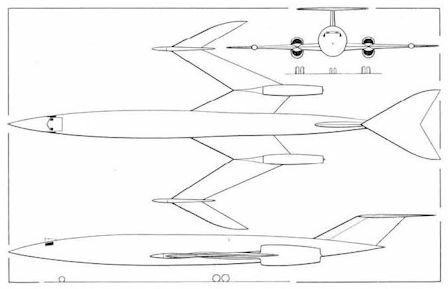 One of the earliest project studies in the Bristol 198 series was this medium-range SST with a modified M-wing, investigated as part of the work done for the Supersonic Transport Aircraft Committee during 1957. 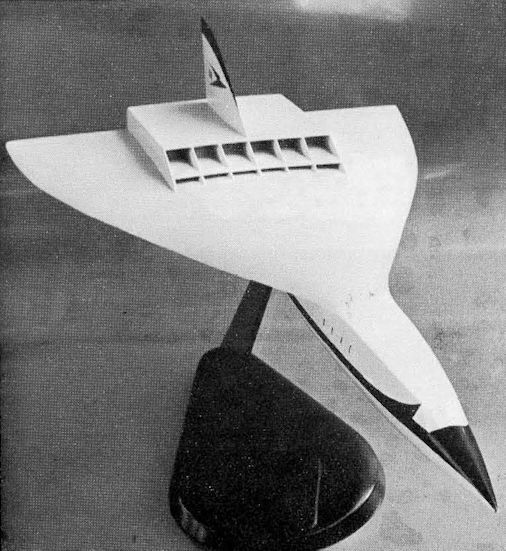 The Type 198 of October 1958, with eight engines, a high-mounted slender delta wing and a two-piece foreplane of Gothic planform.